Today we introduce you a mod to safely save your experience points. XP Bank 1.4.7 lets you create a “chest” where we store our experience to get out of the game with the assurance that we’ll have saved our experience in the “bank” including when diying. In multiplayer games, we can also create a new block that will allow us to transfer experience to another player, who also owns the bank of experience. The transfer of experience is through an interface that appears when you click on the block from the bank. 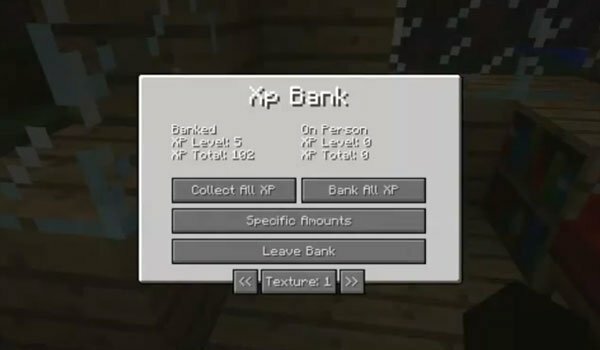 How to install XP Bank Mod for Minecraft 1.4.7? Keep your experience points save!